This book takes you right from the original concept that lead Boeing to design the 737 through its 40 year evolution, in language that is easily understood. It looks at each system in turn, supported by over 500 high resolution photographs, diagrams and schematics, placing each system component in context. It collates information from many different sources and combines over 15 years of the authors own flying experiences to lead the reader through the 737 from radome to tail-cone. The book goes beyond the flight deck on a grand tour of the worlds' most prolific airliner in a way that is as relevant to the type rating candidate as it is to a company Fleet Technical Captain. 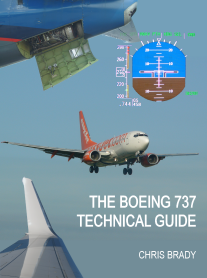 To complete the picture, the book also contains Pilots notes, a detailed guide to airtesting and the accident history of the type, which serve to make this book the most practical and comprehensive technical guide to the 737 available today.